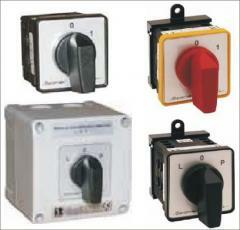 Switches cam SK63 on current 63 A. Switches cam SK100 on current 100 A.
SK63, SK100 switches in IP65 cases. 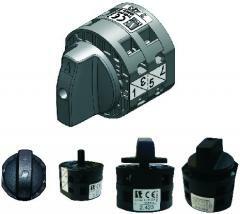 • switching elements, starting switches (star triangle), switches of high-speed electric motors. 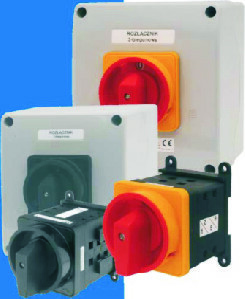 We DELIVER switches with ANY CHARTS of SWITCHINGS. • a possibility of implementation of various non-standard programs of switchings according to inquiry of the Client. 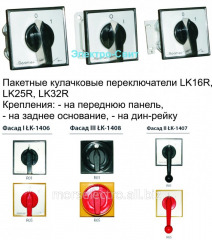 Places of accession of the bringing wires in pereklyuchateleyakh are protected from touches. 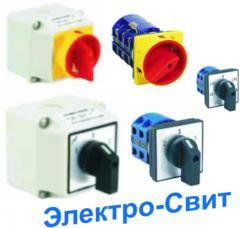 Switches otlichayutsyapovyshenny safety in operation and improved by switching characteristics. Constructive decisions provide small dimensions of switches. The prices are focused on the Ukrainian consumer. 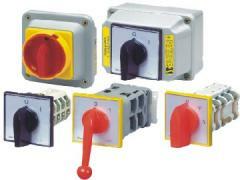 Unbelievable price on Switches cam SK63, SK100 on currents 63-100 A. Switches in IP65 cases. Spamel. 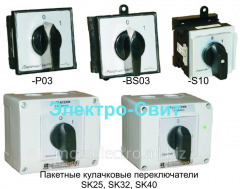 in Kiev (Ukraine) company Elektro-Svit, OOO. 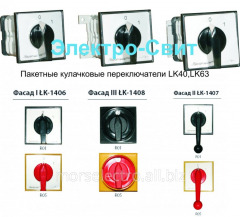 Переключатели кулачковые SK63, SK100 на токи 63-100 А. Переключатели в корпусах IP65. 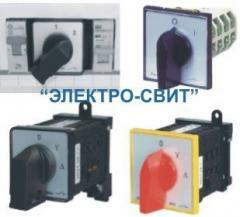 Спамел.Switches cam SK63, SK100 on currents 63-100 A. Switches in IP65 cases. 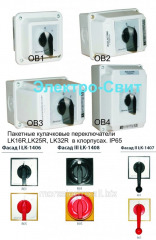 Spamel.Los interruptores kulachkovye SK63, SK100 a las corrientes 63-100 A.Pereklyuchateli en los cuerpos IP65. Spamel.Перемикачі кулачкові SK63, SK100 на струми 63-100 А.Перемикачі в корпусах IP65. Спамел.